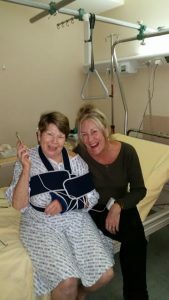 When client Penny Sherrin ended up in the Cochin Orthopedic Hospital in Paris just three days into her twenty-four day European holiday, it was her personal travel manager Michelle Kingston that she turned to for help. 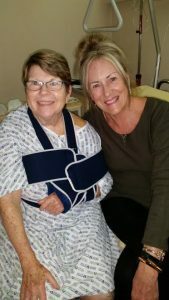 Kingston’s elderly client was travelling on her own and slipped on the cobblestones outside the Louvre. Feeling alone and frightened, with the additional complication of the language barrier Sherrin was extremely grateful for Kingston’s support and efficiency. Working late into the night Kingston communicated with the doctors, insurance company and kept family members back in Australia informed. “I hadn’t realised but I had called Michelle at 6.30pm on Sunday night. Michelle certainly doesn’t just work traditional business hours. She acted quickly and efficiently to help me by contacting Allianz Global Assistance Insurance and arranged for all of my treatment, hospital account as well as medical evacuation back to Australia. Michelle even contacted my daughter and phoned the hotel and arranged for my luggage to be delivered to the hospital. Michelle went above and beyond to help me. This type of personal service is invaluable,” says Sherrin. Kingston representative for Pacific Pines in Queensland certainly delivers on the TravelManagers’ philosophy of providing personal and consistent client service. Sherrin quickly discovered that her phone charger had not been delivered with her luggage so it was Kingston who again came to the rescue. Attributing TravelManagers’ technology as key to her success in servicing her clients 24 hours a day, seven days a week, Kingston used the TravelManagers PTM forum to reach out to fellow personal travel managers for help. It was opportune timing for personal travel manager Jeanette Dickson, representative from Arundel also from Queensland flying to Paris the following morning and staying only one night on route to join a TravelManagers Uniworld famil. “We arrived in Paris late in the day and meet most of the famil participants at a casual dinner. It was after the dinner that I set out to walk to the hospital. I had just met personal travel manager Rosemary Kates from Wollongong, NSW and she insisted she come with me. It was such a lovely gesture and it ended up being quite an adventure so I was very grateful to have the company,” says Dickson. The walk to the hospital with the phone charger proved challenging for Dickson and Kates. For Sherrin, this experience has just reiterated the value of having her own personal travel manager. TravelManagers’ Executive General Manager Michael Gazal applauds Kingston’s initiative, which epitomizes TravelManagers’ belief in turning every single transaction into a long-term client relationship. “Michelle’s ability to engage with her clients with such a personal approach is a real inspiration to all personal travel managers. By viewing each opportunity as a client for life, its experiences like these that prove the personal concept really works,” he says. Gazal says Kingston, Dickson and Kates are true examples of TravelManagers family based values. For Kingston, it was just another day.